Hard work beats talent when talent doesn't work. And the year begins with 4 Continents. What an event.....Brendan achieved his first top 10 finish at this event, finishing in 9th place. Chantelle and Andrew fished in 10th and Matilda and William in 12th. Next stop is Universiade for Matilda and William and the World Figure Skating Championships in Japan for Chantelle, Andrew and Brendan. It began with the 4 Continents Championships. 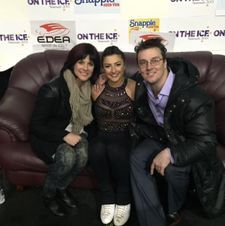 Chantelle and Andrew competed in their first major ISU Championship in ice dance together. Team mates Matilda and William competed for the first time since return from injury. Both teams did us and Australia proud. Next was the Winter Olympic Games in Korea. 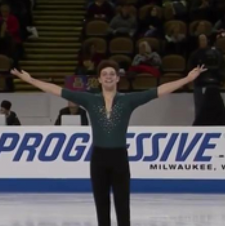 We witnessed Brendan skate an amazing short program which earned him a technical score in the top 10. Chantelle and Andrew competed in Torun, Poland where they excitedly earned the required TES score needed to compete in the World Figure Skating Championships. They became the first Australian Ice Dance team to achieve this in less than a year of competing together. The World Figure Skating Championships in Milan had a strong Australian Team which included seasoned veteran Brendan Kerry and Chantelle and Andrew who competed in their first World Championship as a dance team. All represented Australia in fine fashion. In May Amelie Tabor and Angela Yang competed in their first Novice International event. Both putting in fine performances with Amelie winning her first International gold medal. The 18/19 season began with Matilda and William competing at the Lake Placid Int'l, then 2 Junior grand prix events with a top 10 finish. Chantelle and Andrew began their new season at the Asian Trophy Challenger series where they placed 5th and earned valuable World Ranking points. Both teams achieved the ISU worlds TES score for the Free Dance during the season with Chantelle and Andrew again achieving the Rhythm Dance score as well. A year of highs and lows. We began the year with Matilda Friend and William Badoui and, Adele Morrison and Demid Rokachev competing in the ISU 4 Continents Championships. In May Chantelle Kerry and Andrew Dodds tried out together. Hard work and determination saw them ready to compete in Hollins Trophy in June and earn the technical score to represent Australia Internationally. Matilda and William competed at their first International event for the new season in Lake Placid. It was a strong start to a season which would have great disappointments and show their determination. A few months later William broke his ankle. Everyone thought their season was over. 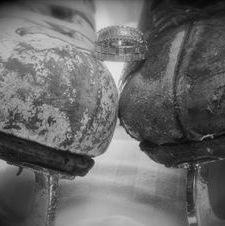 To everyones surprise their determination and desire to compete saw them back on the ice by the end of the year. Chantelle and Andrew competed in Warsaw and Nice chasing the qualifying score for 4 Continents and the World Championships. They achieved the 4 Continents score at their first event but the Worlds score would allude them. In December they won their first Australian Senior Ice Dance title. Fantastic result in Andorra with both of our Senior Ice Dance teams achieving the ISU technical score to compete at the upcoming 4 Continents Championships. The Australian Figure Skating Championships was another exciting event as always. Our team of skaters did us proud as always. Dance is on the rise in NSW. We now have 6 competitive ice dance teams at the Junior and Senior level and one Basic Novice team. So exciting to be part of the growth of ice dance in Australia. 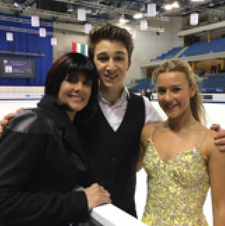 Brendan recently competed in the ISU Senior Grand Prix series at Skate America. He is hoping to be invited to a second event and is continuing to train hard in his journey to the 2018 Winter Olympic Games. 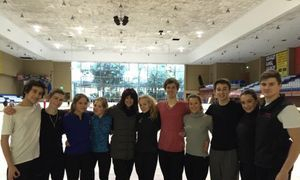 We have 2 new senior teams who along with Matilda and William are now preparing for the first senior international of the season and the upcoming Australian Figure Skating Championships. Anastasia and Nick competed at their first Junior Grand Prix event, narrowly missing out the ISU TES score for the World Junior Championships. Matilda and William put their new programs out at the Junior Grand Prix in Japan and are now looking forward to the season ahead. We are very excited to also welcome to our team Alex and Chris from the ACT who are now coming up every second week to train with us. Matilda and William had a great skate at Junior Worlds even though the scores did not reflect the actual skate. Brendan Kerry achieved a PB at the World Championships finishing in an amazing 17th place overall. Another successful gala night to help raise funds for the rinks international skaters. And finally I have almost finished week one of holiday camps with tomorrow hosting our first skate school camp. Hard to believe so much has been achieved and we are only in July.....bring on the rest of the year. The year began with a wedding. John and Monica secretly got married at sunrise at Whale Beach. This was the beginning of what was to be an exciting year. We were very proud to produce the Night of Champions and Rising Stars. This was a not for profit evening with all of the money raised donated to Macquarie Ice Rinks Junior and Senior International skaters. We had special guest skater Richard Dornbush travel from the US to perform along side Winter Olympian Brendan Kerry. It was an amazing evening enjoyed by all that attended. In 2015 /16 the results just kept coming in. Elementary, Novice, Junior and Senior dance champions at Hollins Trophy. The return to competition of Chantelle Kerry placing 2nd in the State Championships and 3rd at Nationals. Brendan Kerry achieved a 3rd place at the Nordics International in Denmark. In January of this year the team comprising of Matilda Friend and William Badaoui, Courtney Tyerman and Alex Anstey, Chantelle Kerry and Serena Xu headed to Poland to compete in the Nestle Cup in Torin. 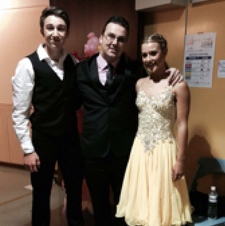 Soon after Brendan, Matilda and William competed in the ISU 4 Continents Championships in Taipei. Matilda and William followed this up by competing at the World Junior Championships in Hungary which bought their season to an end. Brendan will compete in the World Championships from the 28th March to the 2nd April. Evolution On Ice was part of the production team for the AMP Christmas show. The rink was transformed into a Winter Wonderland. For all those involved it was an amazing experience. Our team of ice dancers continues to grow. We are very proud to have coached our New Zealand team to their first Novice National Title and look forward to their move to the Junior rankings this season. With more Jnr teams on the horizon and a new senior team we believe this will be an exciting step for ice dance in Australia and New Zealand. We are very much about helping in the development of skating in the Asia / Pacific region. As such we were very excited to be asked to help Vietnam with a development and training seminar. We hope to be able to assist more Nations in the development of the sport in their country. To Matilda Friend and William Badaoui who have achieved the ISU technical score for the Short Dance at their first international for the season. Now to focus on the Free Dance score. We are very excited to be organising a gala night at Macquarie Ice Rink. We have an amazing group of skaters performing. Amongst them are Australian Winter Olympian , Brendan Kerry, former US Champion, Richard Dornbush, World and International representative Chantelle Kerry, Australian Senior Ice Dance Champions Adele Morrison and Shane Speden, Junior International representatives Matilda Friend and William Badoui, Katie Pasfield and Serena Xu. Macquarie is home to many National representatives and young talented skaters who are all excited to be a part of this special evening. We began the year with another International Competition, this time in Poland with Matilda and William. Another wonderful learning experience for them both and looking forward to the upcoming season. Brendan was competing in the Senior Mens division and it was very exciting to be at the first event he landed both the quad toe and quad salchow at. Since then we visited Melbourne to conduct our Adult development camp. We had a wonderful day with everyone and hoping to be able to do it again later in the year. Macquarie Ice Rink held their first development competition for the year. The kids had a wonderful time and all skated fantastic. Lillian and Dominik competed together in the dance division for the first time, showing off their elementary free dance. Programs are underway for the season and all our skaters are working very hard. As the 2014 / 15 season draws to an end we would like to thank everyone who has supported us in our endeavours. Although at times the work we needed to put in on and off the ice seemed endless, the rewards were well worth the effort. Parents, skaters, rink management and assistant coaches have all been an integral part of our success this season. We began the year with 3 new dance teams trying out together. We are now ending the season with 6 dance teams and another 2 in the works. 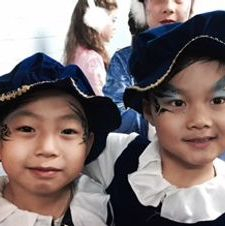 Matilda and William have represented Australia at 3 ISU International events. An amazing achievement for such a new team and what makes it more impressive is that William only started dance at the beginning of 2014. Our senior team of Adele and Shane only began skating together in the later part of the year. They won their first Australian Senior Ice Dance Title and achieved the ISA International bench mark score to represent Australia overseas in the upcoming season. Alex and Courtney competed for the first time this year and despite having missed 2 months of training due to injury, went on to win the Australian Novice Ice Dance Title. Serena Xu skated a personal best to place 4th in the Australian Junior Ladies Championships and no doubt will be one to watch out for next season. We held 2 adult training and development camps, have begun work on our Ice Dance training DVDs and will soon be announcing our newest project aimed to help all skaters at Macquarie Ice Rink. Our elite development program has been a huge success. The skaters have been given opportunities they would otherwise not have had and are loving the group training environment and emphasis on being part of a team. Our kids work very hard BUT it is clear that they enjoy it. We have had a lot of parents ask us to consider their children for the program and are now looking at ways to increase the classes. The end of the year saw us travel to Spain for the Grand Prix Final of Figure Skating where Monica was on the technical panel. We had the opportunity to look at the Spanish dance teams and give them feedback and have been spoken to about travelling abroad to consult some of the worlds best Ice Dance Teams. If 2014 is any indication of what we can achieve as a team then 2015 is going to be an even more amazing year. Special thank you to Macquarie Ice Rinks manager Wendy Rigg-Smith and owner Dr Frank Gregg for your continuous support and belief in us. The Australian Figure Skating Championships saw a resurgence in Ice Dance this year. It was very exciting to see new coaches at the boards and others returning to competitive coaching. We are very proud to say that all of our ice dancers won their divisions and we now have amongst our training squad the current Australian Novice, Junior and Senior Ice Dance Champions. We are also very proud of the achievements of our singles skaters. Serena Xu placed 4th in the Junior Ladies event. For Kirsten Hargreaves it was an achievement to have made it to the Championships given that this time last year she was in bed with a stress fracture in her back and has suffered other injuries this year. Our novice ladies, Tiffany and Megan and Primary Lady Ariel all put out strong fighting performances. Chantelle was diagnosed with a fractured ankle after the JGP in Japan. After months off the ice she finally stepped back on this week, brace and all. We are all very excited to see her on the road to recovery and looking forward to her come back next season. On Monday the 24th November our elite development skaters participated in their first development competition. 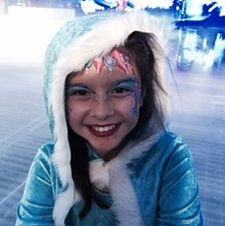 Our skaters range from 4 to 11 years old. They all did a fantastic job with many of them finishing on the podium. We are very proud of all of them. Another successful Adult training and development camp. We are proud to say that we will be holding 2 adult camps annually. Please feel free to contact us for further information or if you wish to be on our adult email list. Junior Grand Prix, Croatia, Matilda and William competed in their 2nd JGP where they achieved a PB. Junior Grand Prix, Japan, our Evolution On Ice skaters have done us proud. Matilda and William competed in their first Junior Grand Prix event and despite some nerves they held themselves together and have learnt a lot. We are looking forward to their next JGP event in Croatia in a few weeks. For Chantelle Kerry it was her last JGP event. Despite a rough lead up to the event with major skate issues affecting her training she skated a strong short program for her first major competition in a year. What makes her skate even more inspiring is that upon her return to Australia she has been put on crutches with a suspected stress fracture. The mark of a true Champion. Asian Open, had a great week in Taipei. Very happy with Serena's short program and amazed with the skating of some of the younger skaters. First of many great experiences to come this season. Congratulations to Chantelle Kerry, Matilda Friend and William Badaoui for their international nominations. Very excited to have singles and dancers competing on the JGP circuit. Athletes Foot have come on board to help with some of our projects. Our JGP skaters had an exciting morning having their feet tested and fitted for new training shoes. 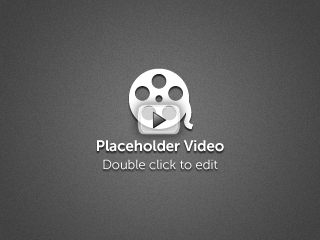 We are looking forward to a long and exciting joint venture. Thank you Athletes Foot for your support and belief in what we are doing. Elite Development. Another huge week...the elite development class is now up and running. We were all so excited, the kids had a great time at the off ice class, and lots of fun on ice as well. Looking forward to the rest of the term and watching the kids progression. Congratulations to Monica's student Serena Xu for her nomination to Asian Trophy. MJS..another great competition completed. First in Junior Dance and Novice Dance with both couples receiving PB score's/ Great results for our singles skaters as well. Had an amazing day at our Adult training and development camp. Thank you to everyone who attended for making the day such a success. Special thank you to Wendy Rigg Smith for giving us the opportunity to hold the camp at Macquarie Ice Rink. Thank you also to Slav Baboshyn and of course Aimee Hartog and Johnny Campos who were absolutely amazing. Work on the next camp has already begun so keep an eye out for the next announcement. Adult development and training camp has been confirmed for Wednesday 25th June at Macquarie Ice Rink. For further details and application form email us at evolutiononice@y7mail.com. Our Junior and Novice Ice Dancers win their first National events. Congratulations to Matilda and William who achieved the ISA international benchmark score. Exciting times ahead for all our skaters. After a big test session we have another couple qualified to compete at Junior Level. Very proud of our boy who competed in singles last year, made the change early this year to dance and had to complete 5 dance tests, a total of 16 pattern dancers to be able to compete Junior. One test to go for our upcoming Novice dance team and then they will be ready to compete.